It never hurts to supplement your home heating. From time to time you’ll catch a draft or realize there is a stingy cold spot in your home that can’t be penetrated with your current home heating system. You can offer support to your home heating system by supplementing the hard work it does with electric heaters or wall-mount heaters. 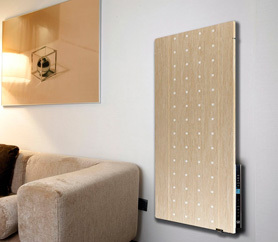 Climastar heater mounted on wall in livingroom. ECO-heater electric panel heaters and decorative Climastar wall-mount heaters can target specific areas of your home and inject those smaller spaces with targeted heat designed just for your home’s heating needs. ECO-heaters and Climastar wall-mount heaters are a smart and affordable way to support your home heating. They require a small amount of electricity which is often cheaper than running your furnace at a higher temperature to achieve even warmth throughout your home. You can buy one or seven, depending on how many spaces in your home could use a little heating boost. Even if you need several you can rely on electric heaters to be more cost effective than replacing your entire home heating system. It also helps avoid the headache of tearing your home apart to gain access to the duct work or vents that require attention. Electric heaters offer very specific heat to very specific areas of your home and can aid your current system to achieve its highest potential without working too hard. You may have seen an increase in the number of radiant floor heating systems being installed in new construction projects. Radiant heat technology is more popular and affordable than ever, and more consumers are enjoying the benefits of radiant heat. Proper radiant heat installation requires an effective insulation beneath your radiant floor heating system. The response times of radiant heating systems are quicker and much more consistent thanks to the specific physical characteristics of proper ground insulation. Insulation provides critical protection for any radiant heated floors. Insulation decreases heat loss below the slab, allowing the radiant floor heating system to perform more efficiently and accurately in the face of drastic temperature shifts. Think of it as laying a warm blanket beneath your radiant heated floor, allowing your radiant floor heating system to operate properly and most efficiently. You don’t want to spend your precious money on heating an already cold ground and losing much of the generated heat beneath your radiant floor heating. Proper ground insulation will catch the heat and throw it back upward where you want it, instead of allowing the valued warm air to seep needlessly into the ground below your home. 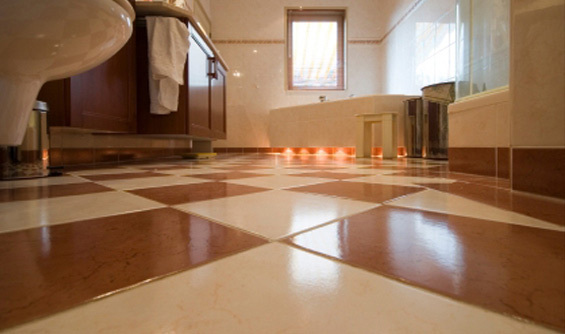 Radiant floor heating is showing up more and more and home builders need to be aware that laying the proper foundation is key to having a radiant heated floor system operate at 100 percent. Call a radiant heat expert at Warmzone (888.488.9276) to learn more about ground insulation for heated floors and the radiant floor heating system that is best for you. admin on What Makes the Best Heated Driveways?